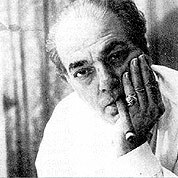 Heitor Villa-Lobos was a Brazilian composer, described as “the single most significant creative figure in 20th-century Brazilian art music”. Villa-Lobos has become the best-known and most significant Latin American composer. 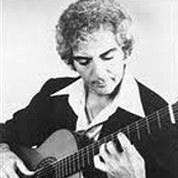 His music was influenced by both Brazilian folk music and by stylistic elements from the European classical tradition. 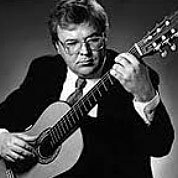 Nikita Koshkin (born February 28, 1956) is a classical guitarist and composer born in Moscow. His early influences included Stravinsky, Shostakovich and Prokofiev, as well as rock music. As with those composers his music is characterised by rhythmic appeal, immediacy and wide range of colours, and well-thought-out dramatic content. 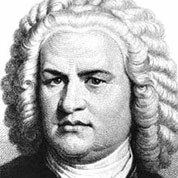 Johann Sebastian Bach was a German composer, organist, harpsichordist, violist, and violinist whose sacred and secular works for choir, orchestra, and solo instruments drew together the strands of the Baroque period and brought it to its ultimate maturity. 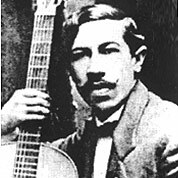 Barrios’s compositions can be divided into three basic categories: folkloric, imitative and religious. Barrios paid tribute to the music and people of his native land by composing pieces modeled after folk songs from South America and Central America. Imitating the compositional style and techniques of the Baroque and Romantic periods was another side to his craftsmanship. Ernesto Lecuona y Casado was a Cuban composer and pianist of Canarian father and Cuban mother, and worldwide fame. 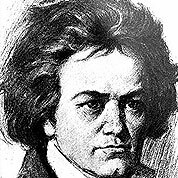 He composed over six hundred pieces, mostly in the Cuban vein, and was a pianist of exceptional quality. 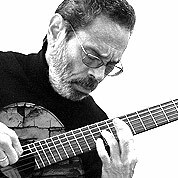 Juan Leovigildo Brouwer Mezquida is a Cuban composer, conductor and guitarist. He is the grandson of Cuban composer Ernestina Lecuona Casado. Brouwer is best known for his performances and guitar compositions of modern music.